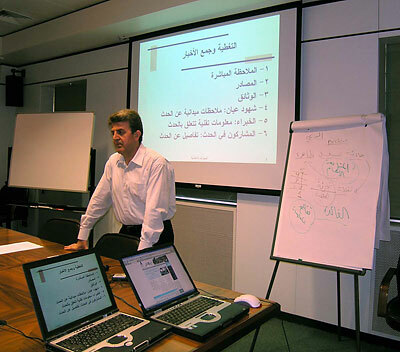 IPJ : Workshop for Iraqi journalists. 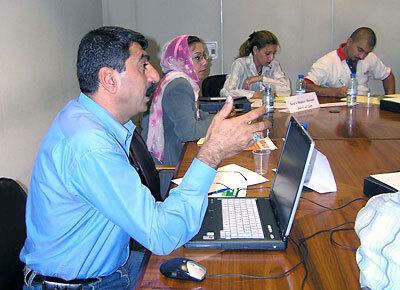 Iraqi journalists discuss safety issues in war zones. 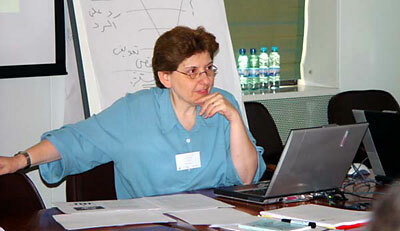 World Bank information officer Mona Ziade describes difference between news and views. 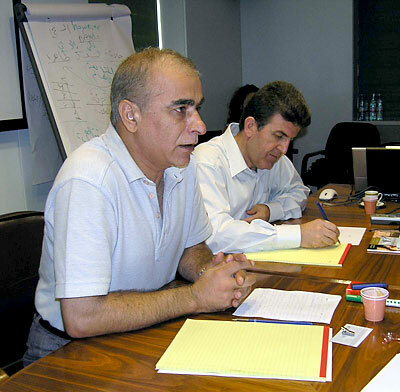 As-Safir editor Zuheir Hawari (left) talks about interviewing techniques as Dr. Mahmoud Tarabay listens. 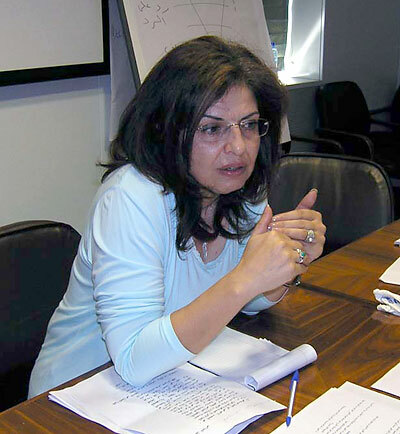 Asharq Al-Awsat editor/correspondent Sana El Jack focuses on feature writing. 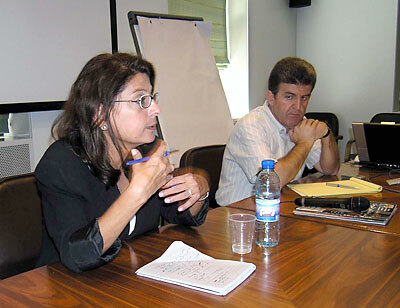 IPJ director Magda Abu-Fadil expounds on media ethics. 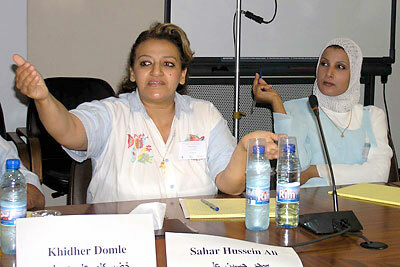 Sahar Hussein Ali and Kawthar Abdel Amir share war coverage experiences with Lebanese counterparts. Dr. Mahmoud Tarabay explains how journalists cultivate sources. LBC’s Marwan Matni and Shada Omar zero in on TV news and talk shows.